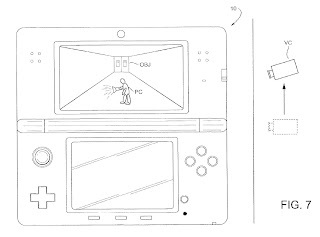 Issued July 22, 2014, to Nintendo Co., Ltd.
U.S. Patent No. 8,784,202 (the ‘202 Patent) describes a method for automatically shifting a virtual camera’s position based on a character’s movement speed. The ‘202 Patent relates to third-person games since the player generally controls the camera in first-person games. 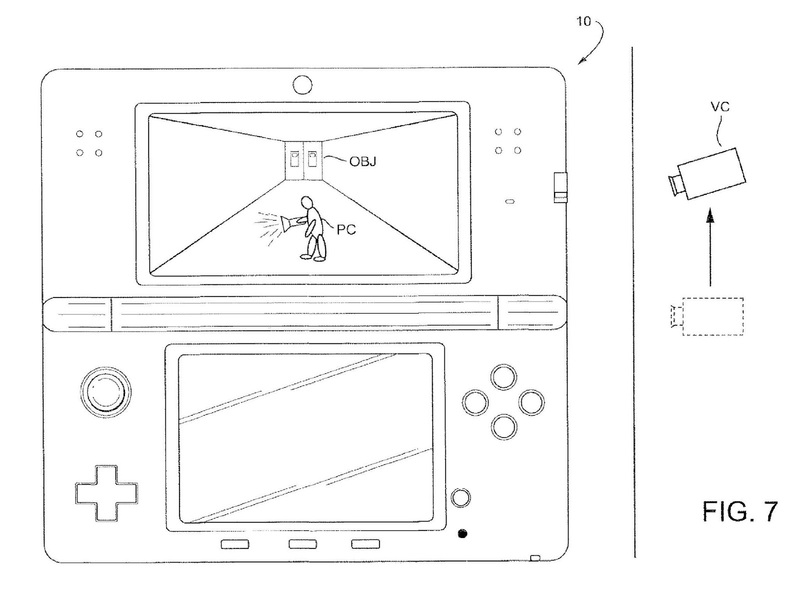 A game utilizing the ‘202 Patent will start the camera in a high angle position while the character is walking or standing. As the character begins to run, the camera shifts down. Shifting the camera down allows for the players to see ahead and have a better understanding of the characters footing. When the character starts to slow down, the camera begins to move back into the original high angle position. An apparatus and method is provided for controlling a virtual camera. The virtual camera is positioned in a first position and a first direction while an object is in a first state and the virtual camera is moved to a second position and second direction when the object transitions from a first state to a second state. The virtual camera is held in the second position and second direction while the object is in the second state and then moves back to the first position and first direction when the object transitions from the second state back to the first state. While the virtual camera is in the second position and second direction, the lowest part of the object is made more easily viewable. 1. An information processing system, comprising: a processing system having at least one processor, the processing system configured to: position a virtual camera in an initial orientation while an object is moving at a first velocity, and change downwardly the angle of orientation of the virtual camera while moving the virtual camera above the object from the initial orientation when the object transitions from moving at the first velocity to moving at a second velocity greater than the first velocity.